Brand NEW energy-efficient home ready July 2018! 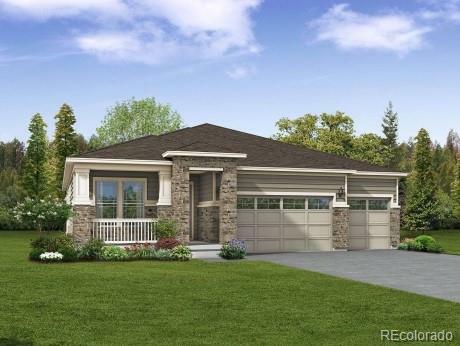 The ranch style Granby features an open concept great room, 3 bay garage, gourmet kitchen with a spacious island perfect for entertaining, dining room that leads to a large covered patio, and more! The private master offers a five-piece bath and large walk-in closet. Love living at Lewis Pointe with the park, playground, walking trails and its convenient location. Known for their energy-efficient features, our homes help you live a healthier, quieter lifestyle while saving you thousands of dollars on your utility bills.